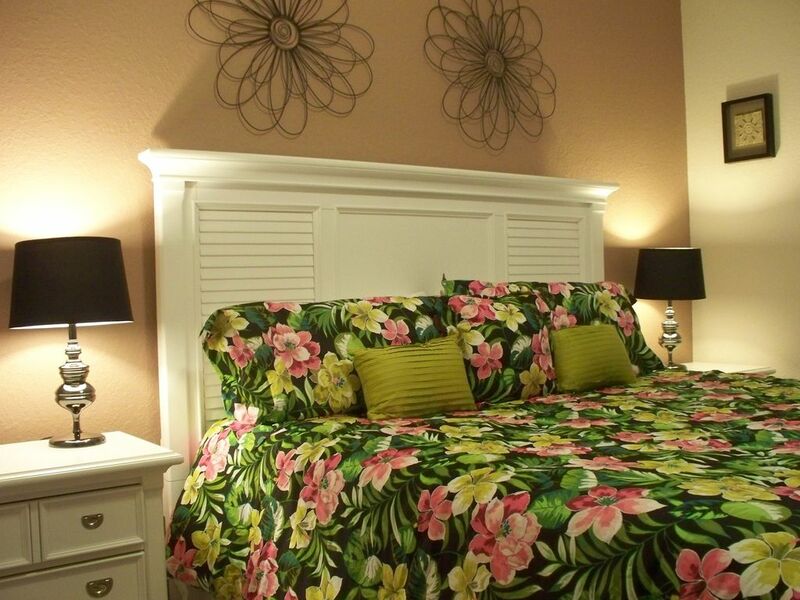 Luxury 3bd,2bath, King, king, 2queensize beds.sleeps up to 8! Have a cup of coffee while you relax on the balcony of this newly upgraded 3bedroom, 2 bath condo, With a king bed in the master ensuite, queen bed in the 2nd bedroom and 2 full size beds in the 3rd bedroom, this condo can accommodate up 8., Equipped with 50in TV, electric fireplace, local phone, cable and high speed internet, it also has a full size kitchen and full size washer/dryer inside the unit. The condo will include towels, linen, iron with ironing board, coffee maker, hair dryer, microwave oven, refrigerator, full size stove, dishwasher, electric toaster, central heat/air, dishes, cookware and utensils, Every thing you need for a home away from home. The complex has two large hot tubs and three pools, including the kiddie pool. Also available at the Club House is an On-site Concierge who can help you with any plans and information you’ll need to enjoy your vacation to the fullest as well as an arcade room, basketball court, putting green, Bar-B-Que area, billiard tables, a movie theater where you get to choose the movie playing, DVD rentals, and a state of the art health club to provide the most enjoyable experience for every guest. This was the perfect place for us to stay while attending a national swim meet at the YMCA on International Drive. It was the perfect size place, and the pool and running/walking trail was wonderful. The location was convenient to stores and fun things to do. We had a few minor issues that did not take away from our stay and the company was easy to work with when I called with questions/issues. Thanks for a great visit! This is a nice condo, but is probably needing a refresher. It could use a few more kitchen supplies, replace the missing blind and the drain is slow in the tub/shower. We did have the breaker trip twice in the master bed/bath during the night, which could be bad if you were relying on the alarm clock provided. Other than those, fixable issues, it is in a good area and Vista Cay, as a whole is a great place to stay. We do appreciate the information and will make the upgrades suggested. Excelente ubicación cerca de todo y la casa muy comoda, limpia y acogedora. Beautiful condo, very clean and great location. Property was exactly as pictured. Overall a comfortable base for a busy vacation, touring theme parks, and participating in a Running event. Close to Disney, Universal and Sea World. Easy access to highways made it convenient for all our outings. Those that used the pool facility were satisfied with the pool and hot tub. Some minor maintenance issues that could be addressed, toilet that ran if not checked. in onsuite bathroom, all steak knives in block were broken, no kitchen towel or cloth, entry gate keypad was not lit and a problem to access in the dark. This was the first time I had less than a great experience. I immediately reached out to customer service but the end result did not change. The king in the non-master has springs poking you just by sitting on the edge of the bed. The couch was ready for replacement because it was sunken and very low to the ground. The main TV had a poor picture which I believe someone attempted to fix but could not. There was mold or mildew on the shower curtain. Again, not typical but unacceptable and I won't rent this unit again. All guests must be 21 yrs or older except children traveling with parents Please note that the manager reserves the right to substitute a like property in Storey Lake due to circumstances beyond control.